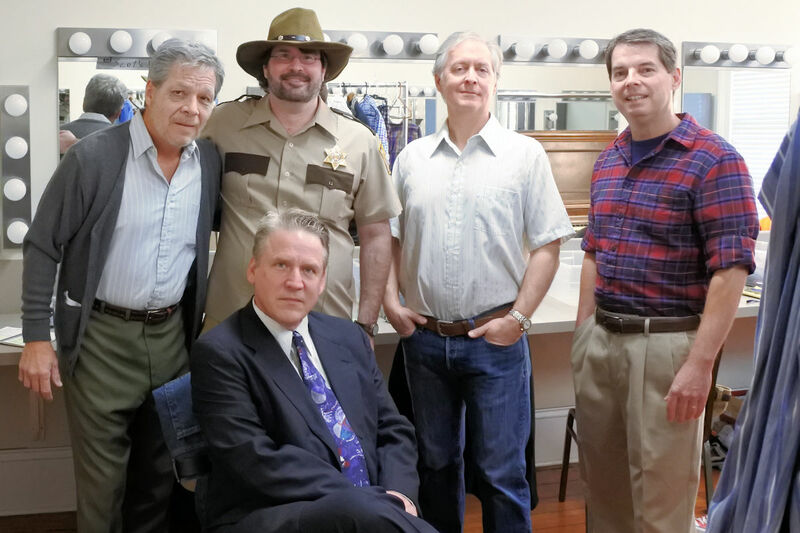 Mercer Theatre hosted the critically acclaimed stage play August: Osage County. The play Originally premiering in June 2007 at the Steppenwolf Theatre Company and opened on Broadway in December 4, 2007. It is making a well-deserved run almost 10-years later. The play, written by Tracy Letts, is directed by Scot J. Mann. Mann is an award winning and internationally recognized Fight Master through the Society of American Fight Directors, the British Academy of Stage and Screen Combat and Director of Theatre at Mercer University. Backstage with some actors from Mercer Theatre. Photo by Donja M. Harper. The cast which consists of aspiring actors such as Julie Allen who appeared in such works as Legacy of Light, Tartuffe, and Love Kills, joins Stuart Appleton, Jay Black and others in a stellar performance. August: Osage County is a play about a vanished father, a pill-popping mother, and 3 sisters harboring shady secrets. The show was performed at the Tattnall Square Center for the Arts. 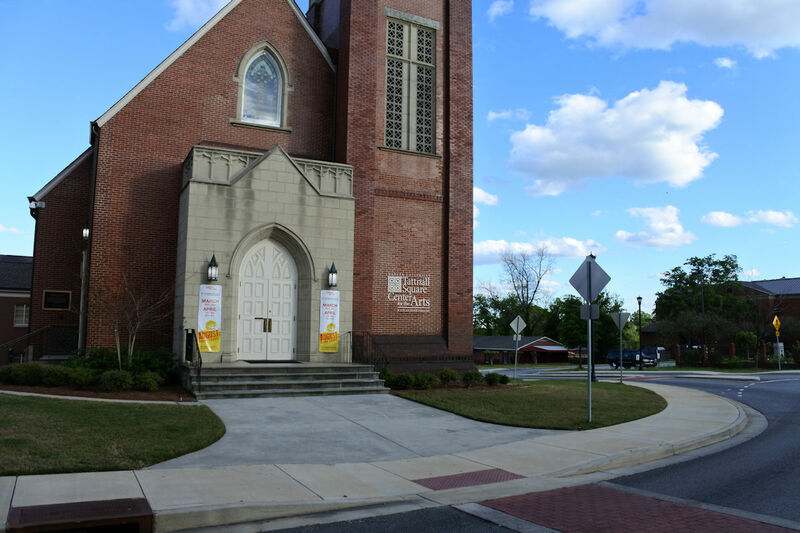 Prior to being a theater, the building was a historic church and has stood for more than 100-years at the corner of Macon’s College and Oglethorpe Streets. 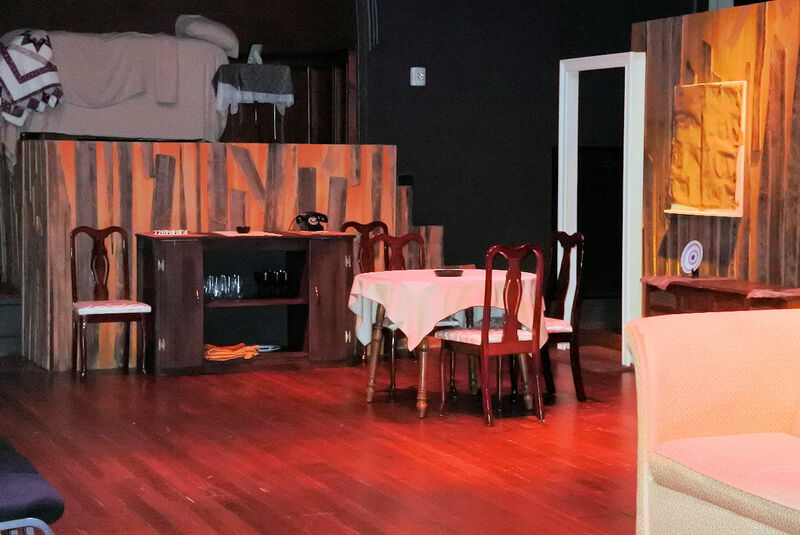 Stage set for “August: Osage County.” Photo by Donja M. Harper. Mann said that after attending Mercer University he became an actor for approximately 18 years. His professional accomplishments include working with the likes of actors such as Danny Trejo and Adrian Paul (popularly known for his lead in the TV series Highlander), and author/actor Stephen King. He credits working with directors at the Alliance and The Alabama Shakespeare Festival for inspiring him to pursue a career as a Director of Theatre. Mann said, “The growth of the actors, from the time of rehearsal up until the opening of the show, seeing how they develop and discover the character and work they’re putting into it, because they always do things I never envisioned…” is the most exciting part of being a theatre director. Tattnal Square Center for the Arts. Photo by Donja M. Harper. For more information about future events at Tattnall Square Center of the Arts call The Grand Opera House box office at (478) 301-5470 or visit www.tickets.mercer.edu.